The 14th annual gathering of geocachers in beautiful Allegany State Park has been published! 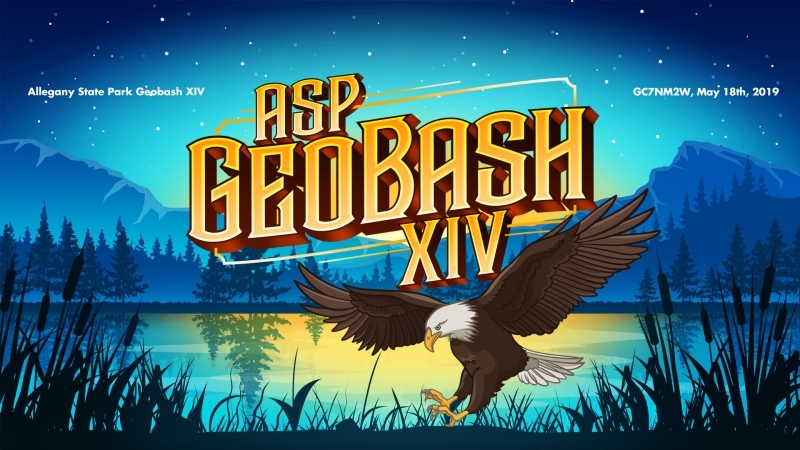 ASP Geobash XIV will be held on Saturday, May 18, 2018 from 8AM to 7PM. Loads of geocaches for both daytime and night... and a few other surprises this year. Come and stay the weekend or the day. Allegany State Park is beautiful all year ’round, but springtime is an extra special season. The trees, the animals, and the flowers are all things that are part of the GeoBash experience. There are many beautiful spots in the park and it’s no coincidence that there are geocaches located in strategic spots all over the park.